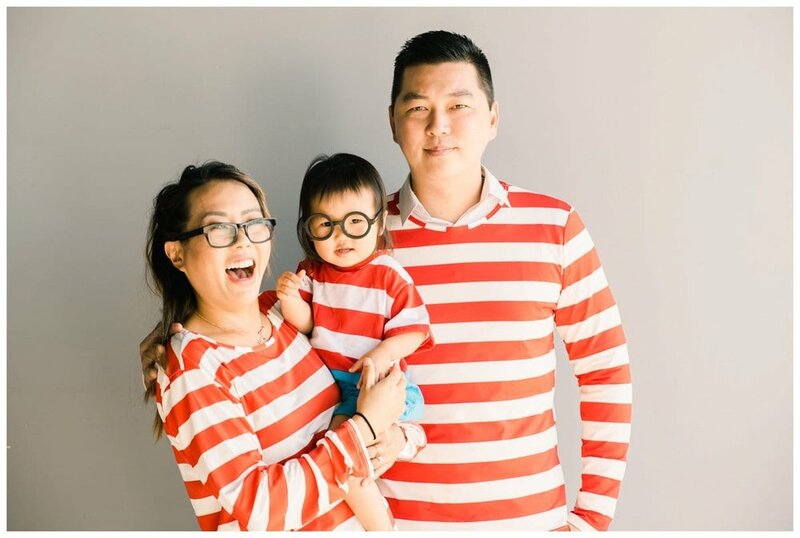 Happy Woo Wednesdays and Happy Halloween from the Where's Waldo Family. My husband hates dressing up so I made it slap on this shirt for one second for the photo. Today I'm interviewing my bestie Lauren Weber and her business partner Michelle Acetta. They are real estate agents and their company is called Weber Accetta Real Estate Group. Lauren and I met in 6th grade and we've been attached at the hip ever since. Lauren sold me my home 5 years ago and I was her very first client. Since then, she has sold over 54 million homes with her partner Michelle and they have made a name for themselves in the community. 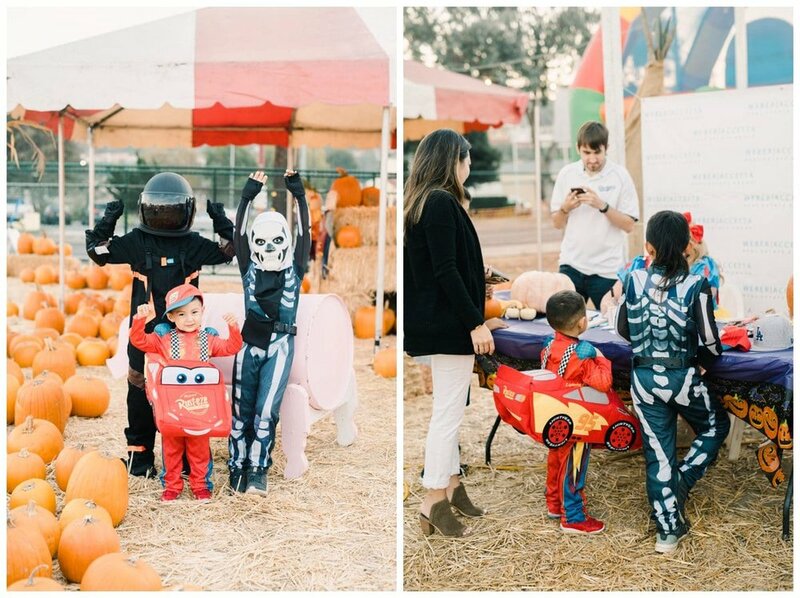 Here are some photos from their annual Pumpkin Client Appreciation Night. I thought it was fitting for halloween. Everyone got to take home a free pumpkin, so cool! I asked them some questions I thought you might be interested in if you are interested in purchasing your own home. Michell and Lauren break it down very easy for us. They write about 4 simple rules to purchasing your dream home. Scroll down. Tell me about your real estate business. What differentiates you from other agents? By utilizing our best skill sets and talents, our team is able to bring a special dynamic to the table. When it comes to negotiations, we think very differently so we are able to take a look at things from all angles and come up with a creative strategy and approach that gets our buyers offers accepted and sellers top dollar! We also have a Japanese department, lead by Nao, who is a native Japanese speaker, knowledgeable in overseas and local transactions for Japanese investors, renters, and buyers/sellers. We work together collectively to educate our clients so they can make empowered decisions that support their Real Estate dreams and goals. We are also very involved in our community and have a passion for connecting people and supporting local businesses. What do you do to stay active in the community? One of our favorite community projects came to us initially as a passion project and has grow into something we could have never imagined it to be today. We noticed that we were meeting so many amazing and inspiring women business owners that we felt that they all needed to meet one another. We started meeting on a monthly basis to talk about business ideas, struggles, and successes. Over the past year it has grown into an organization filled with 50+ members who support one another in not only their business ventures but also their personal lives. We still meet once a month but we continue the conversation through our website: TheVisionaryClub.Org and additionally have fun events quarterly. We encourage any women entrepreneurs to sign up and join us in conversations and events! Because we are so passionate about our local community, we are always looking for ways to contribute and bring people together. A few years ago we started featuring inspiring people, businesses, charities, and events in our monthly neighborhood spotlight. Today that has grown into co-hosted events with them. Our most recent one was with King Harbor Brewing Company as we welcomed them to the Riviera Village with a party at their new tasting room. This year we also threw a block party on the 4th of July on Michelle’s street. We had a potluck, food trucks, bounce house, DJ, games, prizes and everything was put together with the contribution of each and every neighbor - some that even weren’t able to actually attend the event were eager to help! It was so amazing to see how much the neighbors were in support of coming together to get to know each other better and how much they were willing to give whether it be through their time, resources, or donations. It was a true collaborative event that brought so many people together! What does this pumpkin patch mean to you? Why is it so important to give back to your community. What do your clients mean to you? How do you stay connected and in touch with them. Our clients are like family to us. 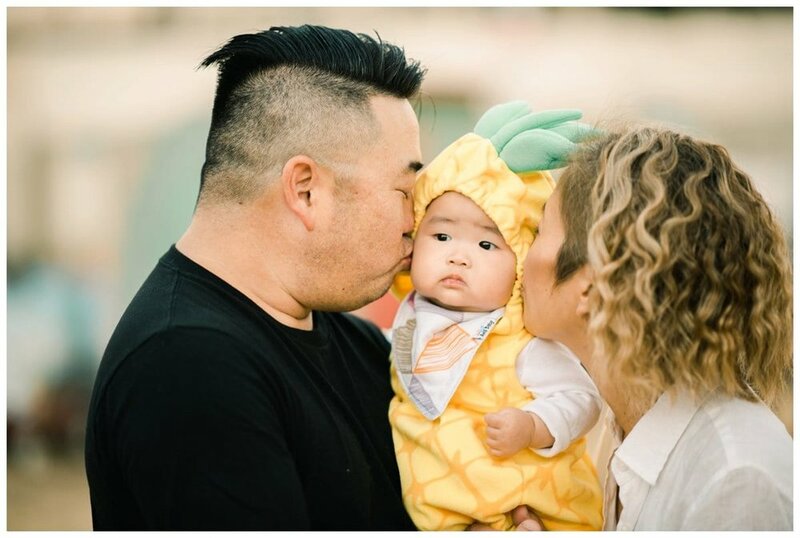 In fact we call some of them Auntie, Uncle, Grandma, Grandpa, and we especially love being called Auntie from our client’s kids :) Buying or selling a home can be a very emotional process and sometimes is one of the biggest decisions that a person or family will make. We don’t take that lightly and we always lead with our hearts and give advice as if we are talking to our family. Working with our clients we get to know them on a very intimate level and we stay in touch by reaching out to them throughout the year making sure that they are taken care of and because we through so many events it is especially nice to be able to get to see some of them on a regular basis! What does the market look like in the next couple years? Can you share any insight? We are currently seeing the market making a shift and in some cases what people will call “the market is softening”. More specifically in the luxury home market with homes $1M+ listings are sitting on the market a little longer and we are seeing some price reductions. This may be a direct result from the interest rates rising and the new tax implications. We anticipate interest rates to continue to rise which may mean prices to flatten out and possibly decrease. This is a great sign for buyers as there may be more inventory to finally come on the market. However, with the impact of higher interest rates affordability may stay the same. So, if anyone has been thinking of selling - now might be the best time before prices start to trend down. Also, if buyers have been thinking of buying - now might be the best time before interest rates peak. What advice would you give to new couples looking to buy a home? 1. Set your budget! This starts with getting pre-approved for a loan, but goes further to looking at what you are comfortable spending each month. Your approval amount might be above your comfort level (budget wise) so pick a monthly payment amount that feels good to you! 2. Feel out your options! Your set budget is going to yield you many options in different areas... a townhouse in one area and single family home in another. Drive the different areas to see if you can see yourself living there. Your neighborhood is going to dictate a lot about your lifestyle and how you live so you want to choose to live in an area that supports what you enjoy and value most in life. 3. Get specific! Once you have felt out your options its time to rule out some areas you didn’t vibe with and keep the ones you did. Get specific about the features that are non-negotiable items for you. This will help you stay focused and know the right house when it pops up! 4. Work with a Realtor! Choosing an agent to guide you through the process can help being clarity to the search process. An agent can help you understand the probability of a certain type of home coming up in specific area in your price range so you know if you should keep hope or keep moving. Working with agents who are skilled negotiators like the ones at the Weber Accetta Group can assure that your offer is accepted when you do find the home of your dreams!